Cyber-attacks have evolved over the past several years, putting organizations and employees at risk for data loss. Specifically, application-level DDoS attacks have become more sophisticated, frequent, and more difficult to put a stop to. So what exactly does it take to detect DDoS issues and solve them? 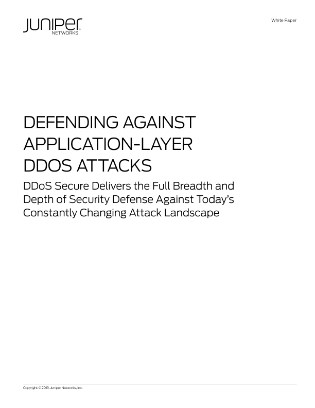 This white paper explains the serious problem that DDoS threats present, and how it impacts your business in particular. Read now to learn about the right solutions to detect and mitigate these multilayer threats, and realize that it is possible to prevent these attacks from occurring.